Case Study – Fabric Conversion – AMD Labels Inc.
Quad Graphics, Inc. provided one of their customers with a creative, unique catalog page solution that would allow for the customers to have a fabric sample to be able to “feel” the actual fabric. The custom cut looped fabric was to be applied to a catalog page with a “patterned” adhesive that would allow for the customers to remove the fabric to touch and feel and then be able to re-adhere it back to the catalog page. Quad Graphics turned to amd Converting & Label and together we took on the challenge of a very difficult converting process. The fabric was very challenging as it had a natural “curl” the second it is unwound, causing major issues with curl that made the converting process very difficult. amd Converting & Label went to task to create a viable solution that was able to produce the patterned adhesive as well (1 side with removable adhesive, the other side with a permanent adhesive) to convert the fabric without curling. 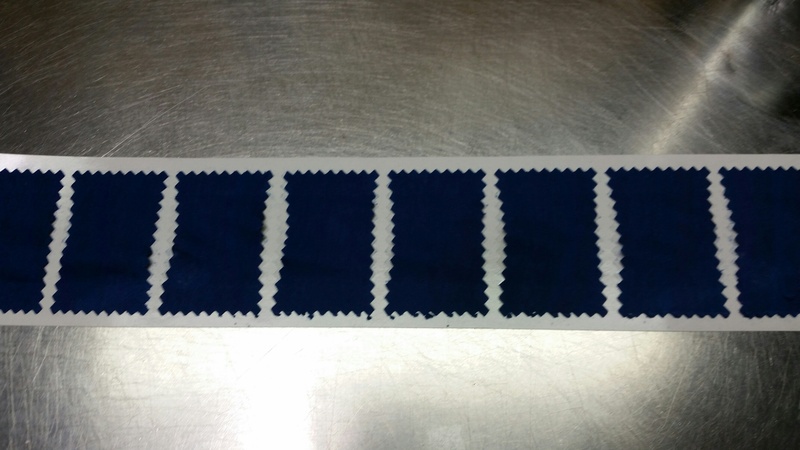 In addition, the main requirement from the customer is that the fabric had to have good adhesion to the catalog page as well as being able to get a finger between the fabric and catalog sheet for feel. Through some extensive R&D and several trial runs with varying processes, amd was able to develop a viable process that met the customer requirements. Quad Graphics and amd Converting & Label partnered to deliver the completed parts on time. Together we went from a blank sheet of paper and a sample of the fabric to completed rolls of parts in 3 weeks. Extensive R&D with varying adhesives and process variation and testing. Having a custom tool made to provide a “pinking” cut for the fabric. Developed and converted the patterned adhesive (combination of removable and permanent adhesive) into rolls to apply to the fabric. Converted the fabric with a “pinking” die cut with the adhesive applied in rolls for Quad Graphics to complete the catalog page. Meeting a very tight and aggressive deadline to the end customer ( 3 weeks total start to finish!). 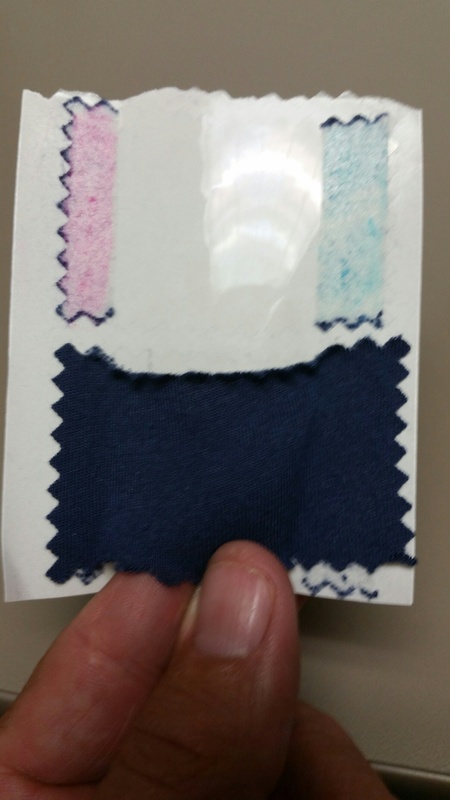 The Patterned Adhesive is composed of 1 strip of removable adhesive (pink highlight) and 1 strip of permanent adhesive (blue highlighted). 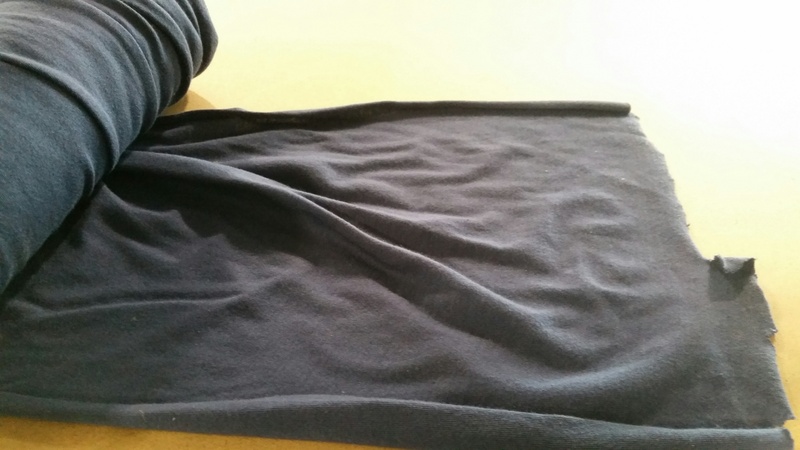 By converting it to this configuration the customer can get their fingers underneath to get the feel of the fabric. 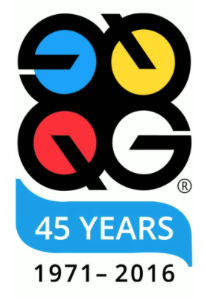 This is a QUAD GRAPHICS (Custom Products) ONLY fabric swatch solution/product within books, catalogs, direct mail, labels/tags, package, publications, and displays/signage.